I’m thrilled to have Stephanie Lurie, Editor-at-Large at Disney-Hyperion, here to chat with us today. Stephanie has had a long and illustrious career in children’s publishing, working with some of the biggest names in the business (as you’ll see below). I caught up with Stephanie while she was on a book tour for Rick Riordan’s latest MAGNUS CHASE installment. She was kind enough to take a break from her busy travel schedule to chat with us. Welcome, Steph! Tell us about Disney-Hyperion and the sorts of books you publish—especially picture books. Hi, Linda! Thanks for inviting me to be part of your blog tour. Disney-Hyperion is an imprint of the Disney Book Group. We are dedicated to publishing “non-Disney content,” which means we work with talented authors such as yourself to develop original books (as opposed to our sister imprints, Disney Press, Lucas Press, and Marvel Press, which publish books tied to Disney-branded content). At Disney-Hyperion we publish fiction and nonfiction for all ages, from babies through high school. In the picture book category, we’re proud to the be publishing home for such authors and illustrators as Mo Willems, Bob Shea, Greg Pizzoli, A.N. Kang, Ryan Higgins, Julie Downing, and many more. We look for books that involve and entertain the reader and encourage interaction between adults and children, because picture books are best when shared. In keeping with Disney corporate legal policy, all submissions must come in via a literary agent. We can’t read them otherwise. 1) Familiarize yourself with what’s currently selling in the retail marketplace. Get a feel for how long the texts are (not very long!). 2) Ask yourself: is my idea universal enough to inspire a consumer to buy it? 3) Avoid rhyme (unless you can do it as well as Linda Ashman, and I have yet to meet anyone who can). 4) Avoid preaching. At Disney we are looking for books that entertain first and foremost. If they happen to teach something along the way, that’s fine, but it shouldn’t be the primary purpose of the book. 5) Think visually. When I start to edit a picture book, I always create a 32-page storyboard, so I can see how the scenes will work. It’s a little like planning out a short film. The story starts on pages 4-5, and each scene should have its own spread. Surprises and punch lines should come after the turn of a page. The first two or three spreads are for introducing the character and situation; the middle of the book is for the character’s ups and downs; the climax should come around pages 24-25; spreads 26-27, 28-29, and 30-31 are for the resolution. The last page, 32, is often a postscript or wordless wink to the reader. 6) Don’t assume that you have to illustrate the book yourself or find an artist. The publisher prefers to make that match. I’ve worked with you across twenty years (!) and three publishers—first Simon & Schuster, then Dutton, and now Disney. What’s changed the most in your work, particularly regarding picture books? Working as an editor at Disney is a little different from my stints at other houses, mostly because we are part of a huge entertainment company. We publish books for their own sake and also with the hope that some of them might eventually become Disney content, the way the book VAMPIRINA BALLERINA by Anne Marie Pace, illustrated by LeUyen Pham, recently inspired a show on Disney Junior. 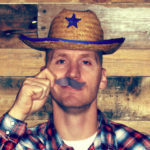 I’ve enjoyed getting to know my colleagues across the company and learning about what they do. It’s also been a thrill to work on books that tie in to big properties like Iron Man (with Eoin Colfer) and Star Wars (with Drew Daywalt and Matt Myers). I’ve always had a preference for funny books, and in picture books I feel that they have evolved from illustrated short stories to interactive theater. Mo Willems may have started this trend with DON’T LET THE PIGEON DRIVE THE BUS! 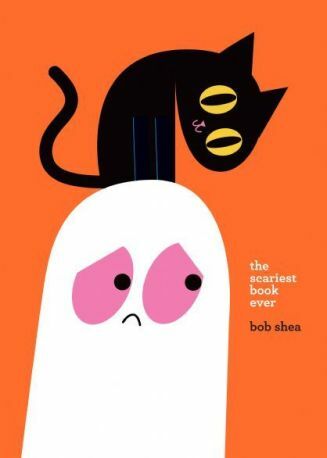 Bob Shea is a master at it too, as in his latest book, THE SCARIEST BOOK EVER, in which the narrator is a scaredy-cat ghost. What do you enjoy most about being an editor? What do you find most challenging? I love helping people bring out their best work and creating something tangible for children to enjoy. It can be dispiriting to say no to aspiring writers on a regular basis, as an editor has to do. We don’t want to dash anyone’s hopes. When we have to pass on a manuscript, it’s usually because the project isn’t a good fit for our publishing program. We hope the author will continue to persevere and market the story elsewhere. Yes, hearing “no” can be dispiriting for writers too. 🙂 Which is why I was so delighted when you sent me an email saying you were craving a winter hibernation picture book text almost four years ago. That email led to WILLIAM and a spring follow-up. Do you remember what prompted that email? I think it was during a particularly cold winter and I was finding it difficult to get out of bed before dawn each morning to walk my Great Pyrenees. I had the seed of an idea when I came across an illustrator’s sample showing a variety of adorable animals snoozing the winter away. I sent you the image, hoping it would inspire you, because I knew you’d be able to make magic with the idea. You exceeded my expectations! Chuck Groenink’s art is perfect for the story. At the time you signed him, he’d illustrated just a couple of books but already had several more in the works. How did you find him? 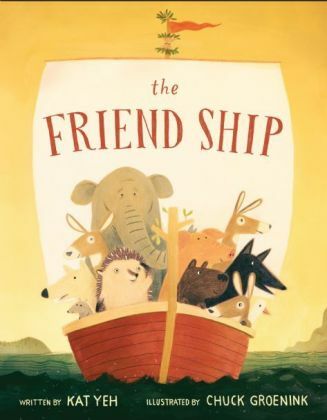 Chuck had recently been signed by another editor at Disney-Hyperion, Rotem Moscovich, to illustrate a picture book entitled THE FRIEND SHIP by Kat Yeh. I loved his style and particularly his animal characters. (LA: We love that book at PBB, too. In fact, Tammi posted about it here). Do you have a favorite spread from WILLIAM’S WINTER NAP? 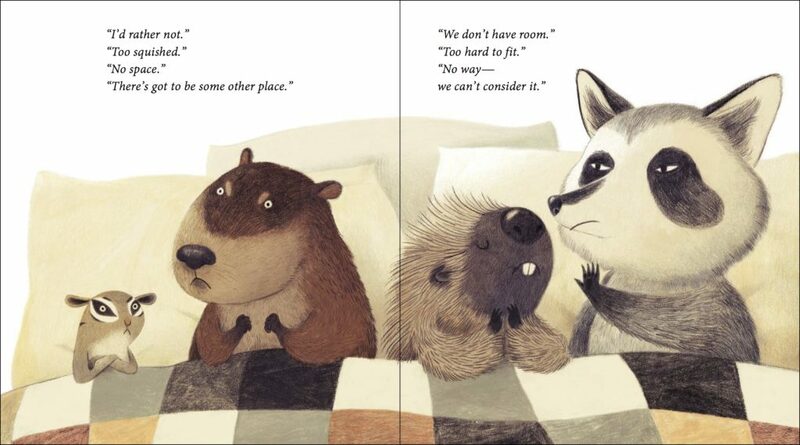 My absolute favorite is the one in which the bed full of disgruntled animals declare that there is no more room. Their expressions make me laugh every time. That’s my favorite too. I also love when William opens the door, hoping the latest visitor will be someone small—and discovers that’s not quite the case. What other Disney-Hyperion picture books are you excited about this season? THE SCARIEST BOOK EVER by Bob Shea (mentioned above) is perfect for Halloween, or anytime you want a laugh. The ghost narrator spills something on his sheet early on and has to go through the rest of the book naked. He’s afraid to explore the dark woods next to his house—he’d rather stay home and clean the bathroom—and he almost misses out on a party as a result. 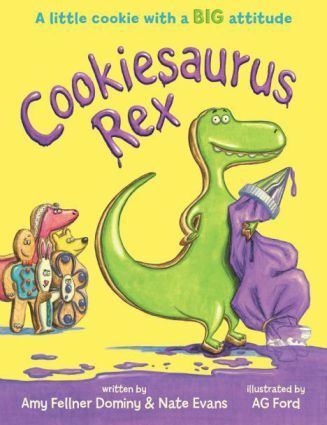 COOKIESAURUS REX by Amy Fellner Dominy and Nate Evans, illustrated by AG Ford, is hilarious. It’s about a sassy T-Rex cookie that thinks he is King of All Cookies and keeps getting thwarted by the kid who is frosting him. We’ll see who gets their last licks at the end. Anything else I should have asked??? 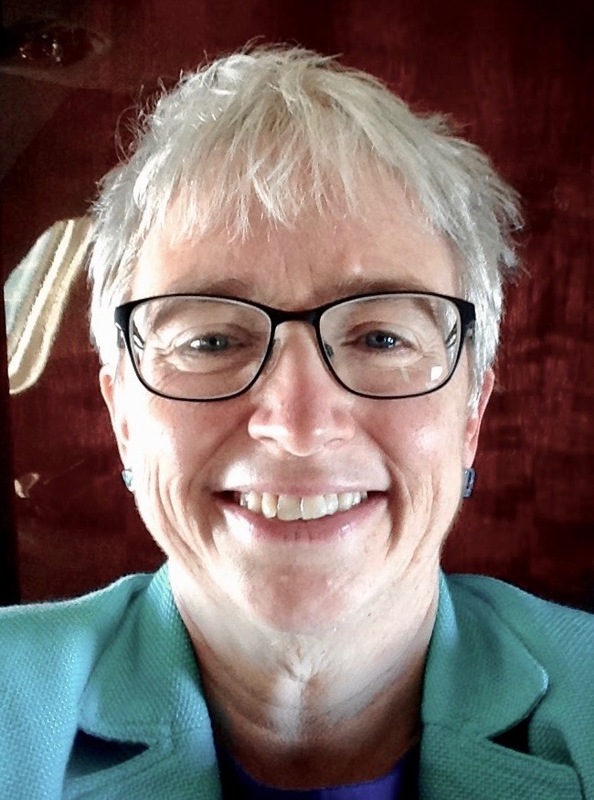 What’s it like to work with Linda Ashman? Well, now that you asked, it’s pure pleasure! Her writing is economical and playful at the same time. She’s a master wordsmith. She’s also very open to editorial feedback, and she has a great eye when it comes to reviewing sketches and final art. Oh, wow—I honestly was not fishing for compliments! But thank you, Steph. It’s been such a pleasure working with you over the years. And thanks so much for visiting the blog! To win a signed copy of WILLIAM’S WINTER NAP, leave a comment below by November 10th. I’ll choose two random winners, to be announced in my next post. GOODREADS MEMBERS: Visit the WILLIAM Giveaway Page by October 22nd for another chance to win. Chuck Groenink, Disney-Hyperion, editors, giveaway, interview, Linda Ashman, Stephanie Lurie, William's Winter Nap. Bookmark. Thanks for the interview! It was helpful! Glad to hear that, Cindy! I loved hearing about Stephanie’s work and glad you all have been able to partner on so many books across her career. Yes, me too! Thanks for reading, Traci! What a great interview! Thank you, Linda and Stephanie. Linda, I adore all your books, so I can’t wait to meet William! Thanks so much, Katrina. Glad you liked the interview! Awesome interview! I’m off to try some dummies! Glad to hear it, Julie. They’re so helpful! It’s always a learning experience to hear an editor speak. Thank you for this relevant interview. Looking forward to reading this sweet story. Thanks for reading, Kathy! Glad you found it helpful. Great interview, Linda and Stephanie! Some really useful stuff here. Thanks. Glad you found it helpful, Cindy! Thank you, Linda and Stephanie. This was a great interview with lots if helpful information. And congratulations on William! Thanks, Terry. Glad you enjoyed it! The six points of advice to PB writers are probably good reminders for the rest of us too! (don’t preach! think visually!). I love the story behind the story and the grumpy animals too! Thanks for sharing, Linda. It’s chilly here in NC too, Debra. Glad you liked the interview! Wonderful interview! I’m looking forward to reading William’s Winter Nap . . . it looks adorable! Linda, WILLIAM’S WINTER NAP looks charming. Looking forward to reading it. Stephanie, thanks for sharing your advice for PB writers and giving some insight into Disney-Hyperion! Thanks so much for reading, Judy! Thank you for this wonderful and informative interview. WINTER’S NAP looks adorable! Thank you for the helpful information it never hurts to reread what editors are looking for. Linda, thank you for this incredible interview with great tips and suggestions for writers! I heard Steph speak at one of our conferences in CO MANY moons ago and she was amazing. I’m sending out this link to my newsletter subscribers with encouragement to subscribe to PB Builders. Can’t wait to add WILLIAM to my collection! Hello, friend! Thanks for sharing the link to the post. Hope all’s well in CO! I have a copy of Little Baby Buttercup so I know Linda Ashman is a master of rhyme. I can’t wait to read William’s Winter Nap. My granddaughter will surely memorize it! I love Linda’s books and can’t wait to see this latest title. Stephanie, also love the Vampirina Ballerina titles! Helpful information about Disney Hyperion and what they’re looking for. Thanks! So much helpful information packed into this interview. Thank you! Glad you found it helpful, Ginger! Thank you for this wonderful interview. The editors perspective is one we don’t hear enough. So helpful. Great post! William’s Winter Nap sounds like a great story! Love the illustrations! Wonderful interview. Thank you for sharing. Looking forward to William’s Winter Nap! Thank you for the insider-view! Linda, your winter book looks delightful! Linda, Samantha on a Roll is still one of my FAVORITE rhyming picture books! I can’t wait to see William’s Winter Nap! Thanks for the interview. 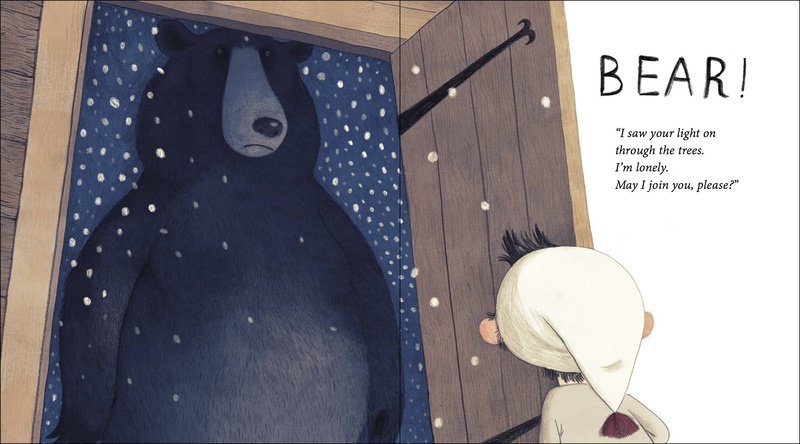 I loved the explanation about the spreads of a picture book and what should be on each. I will use this information as I revise my own work. It was an excellent mini-tutorial, wasn’t it? Thanks for reading, Danielle! Great interview! Thanks for sharing, Linda. Congrats on the new release! I really enjoyed this post. I have a lot to think about. And I loved peeking into William’s Winter Nap. 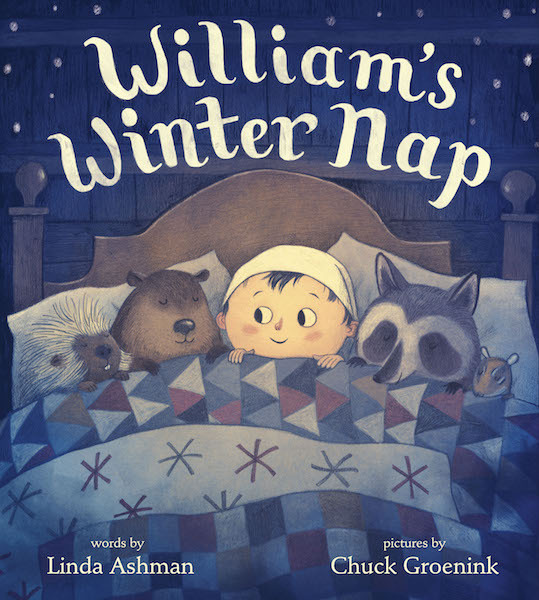 I loved hearing about all these upcoming books including William’s Winter Nap! Thank you for the enlightening interview with Stephanie Lurie too! Thanks so much for reading, Margaret! I enjoyed getting inside the mind of an editor! Thank you for the great post. Great interview! Thank Stephanie and Linda. I look forward to reading William’s Winter Nap along with the other titles. Hey, Rachel! Thanks so much. Glad you enjoyed it! Thank you for an outstanding interview with Stephanie. I appreciate the six wise tips. I look forward to reading WILLIAM’S WINTER NAP, Linda. I am already intrigued. Thanks, Suzy. Glad you enjoyed it! I must read william win ter Nap and all your books to learn how you write! Thanks for the interview. I so enjoyed this…thanks for sharing! Isn’t he cute? Thanks, Maria! Insightful interview! Thank you! William’s Winter Nap looks wonderful! Hi, Lauren! Glad you enjoyed the interview! WOW a relationship to treasure. Editor throwing around ideas on what they would like to see, then a book a few years later by a talented author. A great interview. Hey, Debbie! Yes, I love when editors throw out an idea. It doesn’t happen very often (and it doesn’t always work out), but I’m grateful when it does. Linda, loved the interview! Your Nuts and Bolts book was the first craft book I ever worked through from start to finish! Thank you for sharing your expertise! Thanks so much, Rebecca. So glad to hear that! I love this book! Looks like it will be a classic, just from the few peeks we get to see. Congrats! Great interview as well. Very helpful suggestions. Thank you! Thanks so much for reading, Angie! I had no idea that Disney had a publish Co that publishes so many stories. I am adding this to my must read pile. Great! Thanks for reading, Jen! I need to bookmark this. It’s the best explanation of a storyboard I’ve read. I didn’t realize the climax should come that early. Yes, it’s a terrific mini-tutorial, isn’t it? Thanks, Michele! This is such a lovely post. I feel so lucky to get to illustrate Pets for you! Cheers and crossing my fingers for the win. This was interesting, informative and helpful. Thank you! Great interview, Linda. I really appreciated how Stephanie laid out the importance of the intro and conclusion page assignments. Also, the tip to never try rhyming book. I’ve also been a huge fan of Chuck’s for quite a while. Looking forward to William’s Winter Nap quite a bit! Yes, Steph laid out for me how to make a dummy many years ago and it was like a lightbulb going on above my head. So helpful! Thanks, Mike! This one’s a must-have for me! My brown-haired grandson William will love it! Really enjoyed the interview. Lucky, both of you, to get to wotk together. William’s Winter Nap looks like a charmer. Thanks for the sneak peek! Congrats, Linda! Hey there, Jessica! I wrote it during one of the few snowstorms we get each year (maybe) in NC. Would have had lots more inspiration for it back in CO! This is such a great interview! I love getting insight from editors. The book looks great! Thanks so much, Elaine. Glad you enjoyed! Good info about Disney-Hyperion. I wasn’t clear on how they fit in with Disney. Congrats on another fun book! This is a great story–the illustrations made me laugh. I’d love a copy of it. Great interview, Linda and Stephanie, full of info on Disney-Hyperion, helpful editorial insights, and a warm and delightful author-editor relationship. Thank you. Thanks for the great interview. It was fun to read. Congrats on William’s Winter Nap, Linda. And thanks for such a wonderful interview with Stephanie. I thoroughly enjoyed it!